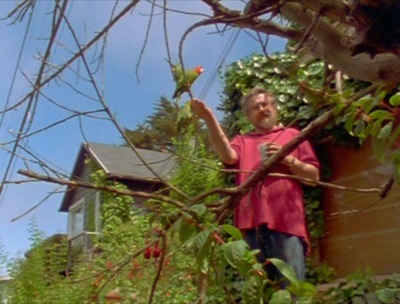 An articulate and overeducated man, but a drifter and nearly homeless, finally finds his calling in life: to feed and befriend a flock of escaped parrots on a high-priced hill in San Francisco. Like Francis of Asisi, he gently delves so deeply into the lives of these exotic birds that he can identify them individually, and over time follows their saga through generations as they multiply and take over the neighborhood. 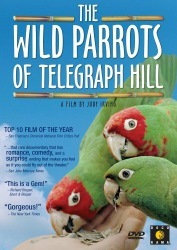 Through him you get to watch a parrot soap opera — who died, who’s with whom, she said, he said. 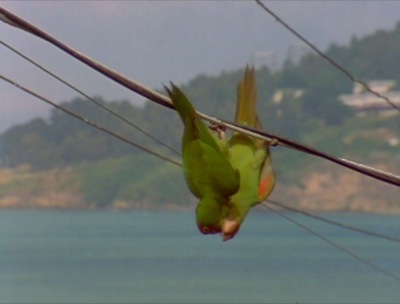 It’s a wonderful natural history mystery, and as therapy, the parrots seem to liberate our saint from his stagnation. 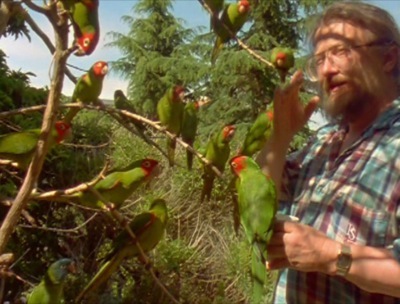 Enlivened by this wild bunch, he steps out and becomes an expert — on parrots. 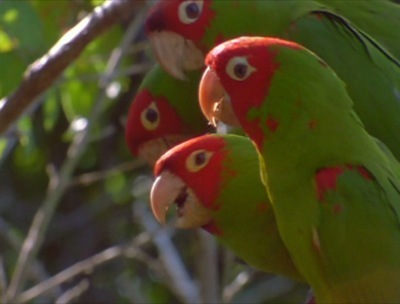 In short, a man is tamed by wild parrots; and the parrots become as interesting as people.